Jim retired after a forty-four year career with the Department of Defense including duty as a carrier-based naval aviator. He holds advanced degrees from the University of Southern California and formerly served as a faculty member and National Security Affairs department chair at the Naval Postgraduate School. Dr. Tritten’s publications have won him thirty-three writing awards, including the Alfred Thayer Mahan Award from the Navy League of the U.S. He has published six books and over three hundred chapters, short stories, essays, articles, and government technical reports. 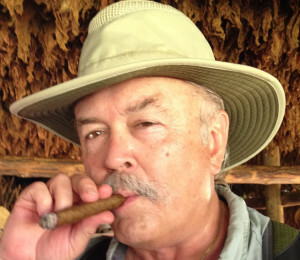 Jim was a frequent speaker at many military, arms control, and international conferences and has seen his work translated into Russian, French, Spanish, and Portuguese. 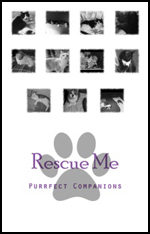 An adventure story written from the perspective of a lost kitten. Kato is the cutest little gray/black striped young male cat with white paws and a rusty colored nose. He sets out to look for his missing sister. In the process he gets lost in the woods by a rushing stream. With the help of a rabbit, then an owl, and finally a coyote he overcomes many obstacles on his journey. Assisted by newfound friends, Kato is reunited with his sister and arrives safely at home. 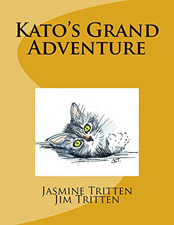 Kato’s Grand Adventure is perfect to read-aloud to children and grandchildren at an early age. 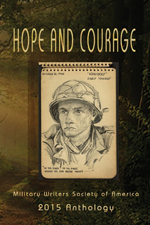 It can then be a first chapter book for anyone with a 4th or 5th grade reading level. Original illustrations by Jasmine Tritten. In March 1993, the United States Navy and Marine Corps established the Naval Doctrine Command as the primary authority for the development of naval concepts and integrated naval doctrine. Although this was the first time the sea services had established a formal command to prepare and publish multi-service naval doctrine, it was not the first time that either service, or navies in general, had formal written doctrine. In the minds of most serving officers, however, doctrine was something new for the fleet. 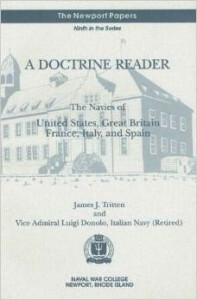 The major message of A Doctrine Reader is that naval and navy doctrine is not new and there is value today in reviewing the lessons from of past doctrinal development experiences. Newport Paper #9 contains the results of research conducted on 5 navies. Each has a unique story to tell, and each story has value for us today. This paper concludes with an interpretive essay on the relationship of doctrine to technology and makes a strong case for the uniqueness of naval warfare. This book analyzes President Bush’s new Regional Defense Strategy–the master plan that will guide the transformation of U.S. defense policy for the post-Cold War era. Most recent books on defense prescribe how U.S. policy ought to change or critique past policies without taking Bush’s new strategy into account. This book takes a different approach, providing the first comprehensive assessment of the new Regional Defense Strategy, analyzing the consequences for U.S. forces and alliance relations, and examining the political difficulties of transforming President Bush’s vision into reality. 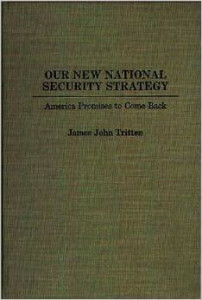 It explains major changes in U.S. defense doctrine and strategy, force and command structure, future programming requirements, and the major question of how such a significant change was managed in the United States. Based on formal content analysis of the writings of Admiral Gorshkov and past Soviet ministers of defense and heads of the Politburo, James Tritten interprets what the Soviets say they will do in the event of nuclear war. He then constructs a hardware and exercise analysis of the strategic employment of the Soviet Navy in a nuclear war, offering three possible cases–the “bolt from the blue,” with existing forces on patrol; full mobilization; and a plausible case of partial mobilization. 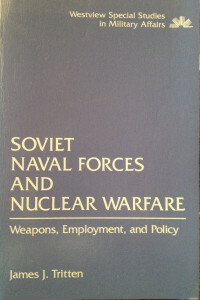 In addition, Dr. Tritten examines, from a Soviet perspective, concepts of deterrence, the strategic goals and missions of the fleet, nuclear targeting policy, the Sea Lines of Communication disruption mission, and the potential for tactical nuclear warfare limited to the sea. The author concludes by assessing the implications of Soviet politico-military planning for Western defense strategy and arms control. 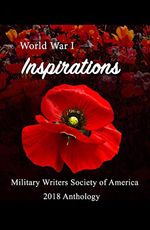 Anthology created by members of Military Writers Society of America focusing on WWI. 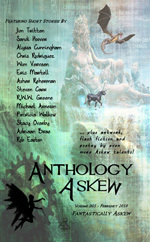 This is the fifth installment of the Askew Anthology series, and this volume is about the worlds of fantasy. We challenged our writers to explore the realms of fantasy from new perspectives, such as magepunk (a blending of the steampunk genre with the magic elements of a fantasy) to other outside the box takes. We weren’t disappointed in the results. 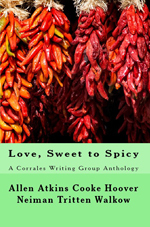 As usual, we found that sometimes, our askew authors and poets color far outside the lines, and that is a wonderful part of being askew as well. In these pages you will experience fantastic worlds where technology and magic coexist in harmony, and others where the two collide head-on, leaving a swath of pain and destruction in their wake. We have hidden worlds, journeys through time, and even a high-tech wizard or two. This volume also marks the appearance of some of our youngest askew talent yet. 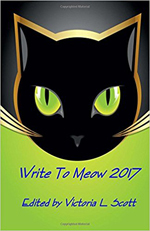 Short stories, flash stories and poetry by some of the brightest new teen stars on the askew horizon await you in this volume. Let go of your preconceived ideas about what fantasy means, come explore what being Fantastically Askew is all about, in both poetry and prose. We think you will find the journey one that you won’t soon forget. In this fourth journey into the hearts and minds of askew wordsmiths, we challenged our artists to explore the many facets of communication, in any of its forms. They didn’t let us down. 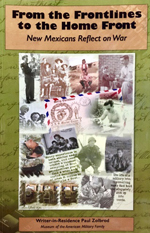 In these pages, you will have a chance to experience some of these forms of communication, from letters and journals, to radio and video transmissions. We will explore both the fulfillment that comes from communicating successfully, and the remorse or despair that can arise when we try to do so and fail. There is perhaps no other group of people for whom the communication of ideas and stories means more, than the authors and poets who are compelled to share their visions and their imaginations with the world. We hope you have fun reading these many different views of what communication means. 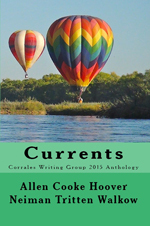 We have once again brought together some of the best writing talent to be found. Prepare to experience an array of perspectives that is truly like no other, and definitely askew. 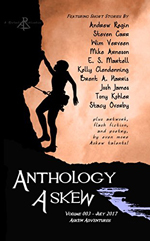 This third volume in the Anthology Askew series is all about adventure. 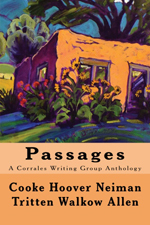 The stories, flashes and poems in this volume cover many genres and types of writing, and they may just make you reevaluate what you consider adventure to be. With Askewian Authors, expect the unexpected. 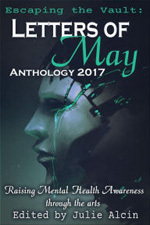 Letters of May – Anthology 2017 is the first in the series “Letters of May”. It is an anthology created to raise awareness for mental health issues through the written and visual arts. Featuring works by: Michael Verderber, Scott Thomas Outlar, Gabrielle Montesanti, PW Covington, Ellen Peckham, Roberto Carcache Flores, Kushal Poddar, Jessica Evans, Jesi Bender, Debasis Mukhopadhyay, Jim Pearce, Matthew Wilson, Edward Vidaurre, Jim Tritten, David Lohrey, Lynn White. 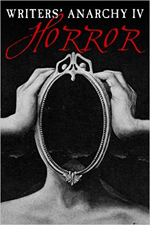 Ghosts haunt the corridors, masks possess, and horrifying giants roam the countryside in this collection of insidious, unsettling horror. Challenge your perceptions. 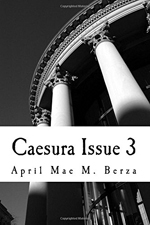 Be thrilled by classic and modern takes on one of the oldest genres of fiction in the world. 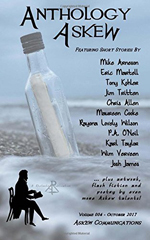 Featuring a wide array of stories from writers all across the globe, Writers’ Anarchy IV is sure to chill with its tales of the monsters in our minds, and the horrors of the soul. 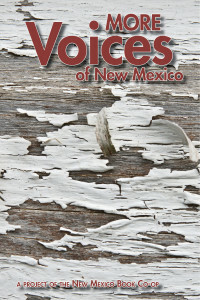 More Voices of New Mexico is the third edition of the Voices award-winning series for the New Mexico Book Co-op. 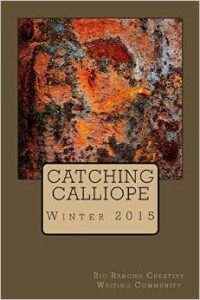 It gives writers a chance to express themselves and get their essays out to the public. There are beginners in the book and established authors. All have a voice waiting to be heard. Some of the essays are funny, some are sad, and some are information to live by. 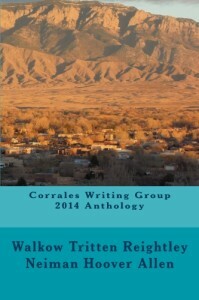 There are poems, art, photos, and many words about New Mexico. This is a little snapshot into the lives of many people and what is important to them. Curl up with a book in front of a fire and READ! New Mexico books are worth the time. You might have forgotten how much fun it can be to read a book!